The Trump administration’s crackdown on asylum seekers has renewed calls by critics to scrap or suspend the Canada-U.S. Safe Third Country Agreement (STCA); arguing that the U.S. is no longer a hospitable destination for refugee claimants. But that raises the question about whether more asylum seekers would then come into Canada. “The answer is that it’s speculative and no one knows,” said Peter Showler, former chair of the Immigration and Refugee Board (IRB) of Canada. Under the STCA, a person must make their refugee claim in the first, so-called “safe country” they reach. The premise of the deal was that since Canada and the U.S. share similar values, both are safe countries for those seeking refugee status. Yet thousands of asylum seekers have recently crossed into Canada thanks to a loophole in the STCA, which applies only to those who try to enter by train, at airports or at official land border crossings. It doesn’t apply if — as so many people have in Quebec, Manitoba and elsewhere — one just walks across the border at some unofficial, unguarded spot. Some suggest that scrapping the STCA would lead to more asylum seekers coming to Canada, because, that way, they could go to any official port of entry without the risk of being sent back to the U.S. or facing, what can be at times, a dangerous journey to cross the border, depending on the season and terrain. ​Trump has taken a hard stand against illegal immigrants, referring to them as “invaders.” His administration was slammed for the controversial policy of separating children from parents arrested for crossing illegally from Mexico. And on Monday, he said those caught crossing illegally should be immediately sent back without appearing before a judge. His stance has sparked calls from human rights activists, refugee lawyers and Canadian politicians to scrap the STCA. But Showler says there are approximately 11 million to 12 million illegal residents in the U.S. Many are fully aware of the relatively easy irregular or illegal ways to enter Canada, he said. Yet despite Trump’s crackdown, there have not been huge increases of people crossing the border illegally, he said. “That could have triggered a large movement toward Canada and it didn’t,” Showler said. Many have established roots in the U.S., have been there for decades, have families, driver’s licences and Social Security cards and aren’t likely to come into Canada just because it would be easy, he said. In a report released last year, Fleeing to Canada on Foot: Reviewing the Canada-U.S. 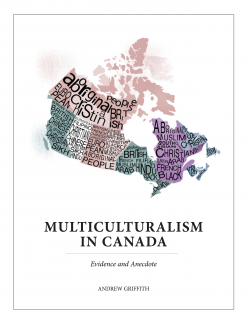 Safe Third Country Agreement, program associate Benn Proctor of the Canada Institute of the Wilson Centre, a global affairs think tank, ​noted that the agreement has “significantly reduced” the costs to Canada from processing claimants by dissuading applicants to come to Canada. For example, in 2005, the year after STCA took effect, the CBSA reported that the number of claims made at the border dropped 54 per cent, from 8,904 to 4,041. The OECD estimates a cost of $14,000 per asylum seeker, meaning the STCA may have reduced Canadian spending on asylum seekers by $2 billion over a 10-year period, he wrote. Since his report, however, Proctor said he has revised his thinking that there would be a huge influx of asylum seekers coming to Canada if the STCA was scrapped. He said he now takes into account that — with the spread of information about safer places to cross the border illegally — it has become much easier to cross at these unofficial spots. He expects a “moderate noticeable uptick” in the number of asylum claims if the STCA were scrapped. “I would still say you expect to see more asylum claims coming from the U.S. if the Safe Third Country Agreement was disbanded or suspended. But originally I thought you would expect to see a lot more.”The increase of asylum claims would put more pressure on resources and exacerbate the problems with backlogs, he said. As of April 30, 2018, there were more than 55,000 pending cases, and the projected wait time for claims for refugee protection before the board has increased to approximately 20 months, Pape said. However, she said the IRB has improved its efficiency and that the number of refugee claims finalized has increased by approximately 40 per cent over the past year. She said the IRB projects to be able to finalize up to 2,500 refugee claims per month. Lots of coverage on Maryam Monsef and her birthplace. Most coverage conflate birthplace, citizenship and identity. While they can for many be one and the same, this is not the case for all, particularly in the case of immigrants. For example, my mother was born in Russia on the eve of the Russian revolution, her family as refugees fled to Latvia, and her Canadian passport listed Riga as her birthplace, likely reflecting that the chaos at the time made it impossible to obtain a Russian birth certificate. But we all knew her true birthplace. As to the speculation by some regarding whether or not her citizenship and immigration status could or should be revoked, Monsef arrived in Canada at the age of 11 so all documents would have been submitted by her mother. So while her mother’s status could theoretically be subject to review, hard to see why any government would do so some 20 years after the fact and given that it is not material to the family’s status as refugees. Iran has between one and three million Afghan refugees, which are not well integrated into Iranian society, and largely live within Afghan neighbourhoods. Canadian immigration lawyers say Democratic Reform Minister Maryam Monsef could suffer consequences if her refugee or citizenship applications included false information. While lawyers the Sun spoke to disagreed on certain specifics, none doubted that a case such as Monsef’s would typically undergo a review. “There are differences in cases where they probably decide not to proceed when false info is presented for reasons of safety and security. But that’s rare,” says Ottawa immigration lawyer Julie Taub, a former member of the Immigration and Refugee Board. “The situation is if she was not an MP, if she was not a cabinet minister, if she was just your average Joe, the government would probably seek to vacate her status and once that protection is gone they could go after her citizenship,” Mamann added. “I think the government is going to be in a hard position because they obviously won’t want to take any action on it but if they don’t, how is that going to look, that she’s getting preferential treatment?” Desloges said. If her mother provided inaccurate information to the IRB, does that mean Monsef could be stripped of her citizenship? What if her mother did tell the IRB that Monsef was born in Iran? For one thing, it would eliminate any chance, however remote, of the minister being stripped of her citizenship. It would mean Basir provided all relevant facts to the IRB, and that the board concluded all four claimants were genuine refugees. If that’s the case, however, it does raise yet another question. If the Immigration and Refugee Board was told that Monsef was born in Iran, how could she not know? Think back to the ensuing document trail. If the IRB was informed of her true birthplace, that same location would have been listed on her subsequent permanent residency forms, her citizenship application, etc. Under such a scenario, it seems implausible that Monsef would have remained oblivious to the truth all this time—or that the Privy Council Office, which conducts a “rigorous vetting process” for would-be cabinet ministers, would not have stumbled upon the evidence. It’s much more likely, as discussed above, that Monsef’s mother chose to hide from the IRB what she hid from her daughters: that they were born in Iran. 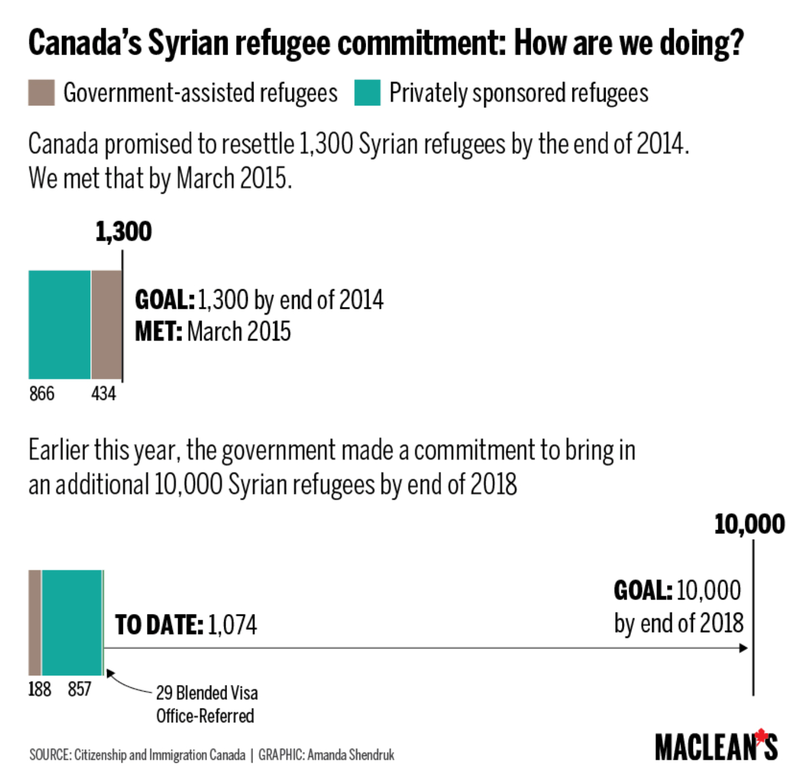 More commentary on Syrian Refugee crisis: Impact of previous policy changes and recommendations what should Canada do? For most of the Syrians we are hearing about, I would argue, the right term is “refugee.” The origins of that word also belong to the 17th century, when it referred to Protestants who fled religious oppression in a triumphantly Roman Catholic France. Over time the word’s meaning extended to include all those who were escaping war, persecution, or intolerable conditions at home. Kurdi’s family were determined to get away from a civil war that has all but destroyed Syria. They were not making a rational economic decision or a calm political choice. Just like the Vietnamese boat people in the late 1970s, they were fighting for their lives. In earlier humanitarian crises, Canada went directly to the migrants and accepted large numbers quickly. That stands in stark contrast to Thursday’s response from the federal immigration department to the death of a boy found on a beach in Turkey. A group of Canadians had applied to bring in his uncle’s family and hoped to sponsor the boy’s family next. But the family had not been certified as refugees by the UN refugee agency, UNHCR, or a foreign state. …Canada has required such certification since October, 2012 – when the Syrian crisis was developing – for “group of five” sponsorships, a reference to the minimum number of adult Canadians needed to bring over a refugee family. …Among the other bureaucratic hurdles is the fact that the waits at visa offices for Canadian officials to review applications – a review that happens after that of the UNHCR – range from 11 months in Beirut to 19 months in Amman to 45 months in Ankara, according to Canadian government figures. And the immigration department’s central processing office in Winnipeg – which handled the application for the boy’s extended family – takes two or three months to look at applications. The Canadian government’s departure from established refugee norms began in 2012 with the passage of new laws which created a two-tier system based on country of origin. Canada began to categorize refugee claimants based on group characteristics rather than using a case-by-case approach. “Group labelling tends to exclude, not welcome. Placing individuals above categoric exclusions is the best way to ensure Canada continues granting asylum to people who need it most,” migration expert Dana Wagner wrote in a 2013 article for the Canadian International Council. It isn’t to deny the role of group identity in understanding why individuals and their families may fear persecution, or violence, in their countries of origin. It is simply to include it as one of many factors that must be examined in an individual’s claim. While I understand the rationale for their critique, I equally appreciate the Government rationale for its focus on those communities which appear to be most at risk such as Christians and Muslim minorities such as the Yazidis. First: Triple the number of visa officers processing Syrians. Second: Relax visa requirements out of the European Union. Third: Canada should grant prima facie refugee status to all Syrians outside their country. Full stop. Fourth: Allow Syrians in Canada to quickly reunite with their families through a temporary resident permit. A final requirement is political will. Without it, Canada will neither exceed nor meet its initial pledge. There are solutions. In addition to the 1979-80 boatlift when Canadians welcomed over 60,000 refugees, Canada has used emergency immigration programs and special teams of immigration officers to bring thousands of refugees quickly from Uganda and Kosovo. Refugees are processed efficiently and quickly and are granted temporary status in Canada. Private sponsorship groups can be enlisted to help them establish in Canada, providing financial support and helping families to integrate into their communities. Later, the refugees can apply for permanent residence from within Canada, if they so choose. We have done it before. Canada has the expertise and capacity to do it again. Bringing 25,000 Syrian refugees to Canada does not end the war but it saves individual lives and sets an example for other nations to also open their doors. The government often invokes the historical generosity of the Canadian people but has done little to truly encourage it. In 1986, the Canadian people were awarded the Nansen Medal by the United Nations for their extraordinary generosity in welcoming the boat people. It is the only time the medal was given to an entire people. Canada and its government once again have an opportunity to lead the world to relieve an excruciating humanitarian crisis. We could do much, much more. We should, and we must. We should live up to the promises we have made – so far undelivered – to accept thousands of Syrian refugees. And then we should increase our quotas and meet them too. We have room for more people. We should send officials in large numbers into refugee camps to process people more expeditiously, cut through red tape, and bring them more quickly to Canada. It’s possible. We’ve done it before. We should demand greater action on the part of our politicians, not just to respond to the crises of famine, war and natural disasters but also to invest more in international development. By helping people develop stronger social and economic infrastructures in their own countries, we help them develop peaceful, organized means to cope with their own crises. The refugee crisis that rocks the world today belongs to the world. And it belongs to Canada. For one thing, many active, engaged Canadians come from the countries most affected. For another, we have fought in wars – in Afghanistan, for example, and we are now participating in air strikes in Syria – that add to the mayhem forcing people to flee. And we have signed onto refugee conventions committing us to humanitarian principles and action with regard to accepting and assisting refugees. Most important, we owe it to ourselves to respond. To remember what it means to be human. To remember what it means to be Canadian. Gulf countries have funded humanitarian aid. Saudi Arabia has donated $18.4-million to the United Nations Syria response fund so far this year, while Kuwait has given more than $304-million, making it the world’s third-largest donor. The United States has given the most, $1.1-billion, and has agreed to resettle about 1,500 Syrians. ….This week, Kuwaiti commentator Fahad Alshelaimi said in a TV interview that his country was too expensive for refugees, but appropriate for laborers. “You can’t welcome people from another environment and another place who have psychological or nervous system problems or trauma and enter them into societies,” he said. Cartoonists have lampooned such ideas. One drew a man in traditional Gulf dress behind a door surrounded by barbed wire and pointing a refugee to another door bearing the flag of the European Union. “Open the door to them now!” the man yells. Another cartoon shows a Gulf sheikh shaking his finger at a boat full of refugees while flashing a thumbs-up to a rebel fighter in a burning Syria. …Michael Stephens, the head of the Royal United Services Institute in Qatar, said the decision by the United States not to directly intervene against Assad had left many in the Gulf unsure of how to respond. There are serious issues of ideology and identity at risk here. Reasonable, rational, tolerant folks are saying that the refugee crisis isn’t Europe’s problem to fix, and it is, in fact, a form of reverse racism to let Muslim countries off the hook, as if they are just too backward, intolerant and incapable of finding homes for these refugees. The family of young Aylan, after all, was fleeing Turkey, a Muslim country, for the West, because the father said that the refugees weren’t treated respectfully in Turkey. That is a policy problem in Turkey that needs to be fixed, not displaced to other countries. Under the old system of judicial review, only about seven per cent of rejected claimants were granted leave to appeal their cases to the Federal Court. That means the number of people who are now getting a chance at an appeal has nearly tripled. Under the old system, the standard for overturning a decision was too narrow, Showler argued. Federal Court judges could only consider whether the decision reached by the refugee board was “reasonable” in law. That filter, he said, prevented many legitimate claims from being reviewed. “One way of seeing it is the Refugee Appeal Division is certainly doing a better job of identifying mistakes than the federal court,” he said. CBC News asked officials in Immigration Minister Chris Alexanders office to comment on the new figures. His office did not immediately respond. But other experts say that while the numbers are encouraging, there are still far too many restrictions on who gets to appeal their case. Refugee lawyer Lorne Waldman noted that claimants from so-called safe countries like Hungary and Mexico are barred from appealing their cases, as are claimants who arrive and lodge a refugee claim at the U.S. border. The Government could tout this as evidence that refugee reform both tightened the system and made it more fair than the previous Federal Court process. But that might undermine their overall anti-fraud and misrepresentation messaging. More refugee claimants get 2nd chance with new appeal process – Politics – CBC News. “We are doing this because the court has ordered us to do it. We respect that decision while not agreeing with it,” Immigration Minister Chris Alexander said following question period on Tuesday. The government had until the end of today to review a 2012 policy the Federal Court deemed unconstitutional, “cruel and unusual” last July. The government had asked for a stay until an appeal is heard, but that request was rejected on Friday. A date for the appeal has not been set. “Under the temporary measures, most beneficiaries are eligible to receive coverage for hospital, medical and laboratory services, including pre- and post-natal care as well as laboratory and diagnostic services,” the government said in a notice posted on the website of the Department of Citizenship and Immigration over an hour after the minister spoke. Children under 19 years of age will receive full coverage, while pregnant women will be covered for all but supplemental health benefits. However, refugee claimants in seven of the 12 categories included in the governments chart will not be covered for drugs or supplemental health coverage. ….The Canadian Association of Refugee Lawyers, one of the groups that took the government to court over the changes the Conservatives brought in back in 2012, says the temporary plan does not comply with the Federal Court ruling. “The government is still being punitive, they’re being selective and the court told them to reinstate all benefits,” said Peter Showler, co-chair of the refugee lawyers’ group and a former chair of the Immigration and Refugee Board of Canada. He is also an expert in refugee law at the University of Ottawa. Showler was critical of the government’s decision to deprive certain refugee claimants of coverage for prescription medications. Refugee health care temporarily restored in most categories – Politics – CBC News. There are more than 40,000 places of worship in Canada, and care for our global neighbours matters to them. But now is when we will find out whether these communities can put action behind their beliefs. Mark Blumberg of Global Philanthropy reports that faith groups have increased overseas aid philanthropy 300 per cent since the boat people crisis, but my guess is we may be sorely out of touch with what it means to bring a refugee crisis into our suburban and rural homes today. “It’s extremely provocative and it should act as a question to all of us as Canadians, as people of faith. The generous people who sponsored 70,000 refugees of the South Asian crisis still exist. That is still who we are, but the mean, nasty atmosphere that surrounds us now, that’s also true,” refugee advocate and author Mary Jo Leddy told us recently on Context TV. Are we still that compassionate Canada? – The Globe and Mail. The Canadian government announced last year it would bring 1,300 Syrian refugees into Canada. The majority of refugees are sponsored by private groups, mostly churches, but to date only a couple hundred refugees have actually arrived. In comparison, Sweden has taken in 30,000 Syrians with a population that is about one quarter of Canada’s. The authors of the internal CIC report recommend the government hire more permanent staff, as well as hire some temporary workers to conduct a “blitz” to clear the backlog. “Improvements to process accountability and processing efficiency cannot be realized without having a sufficient number of dedicated staff in place to handle core functions and to eliminate the backlog that has developed over time,” the report reads. “It’s a damning report. It doesn’t beat around the bush,” said Janet Dench, executive director of the Canadian Council of Refugees. Departmental officials won’t say if more staff have been hired since the report was released late last year. But they said efforts are being made to speed up the process. “Processing is done according to priority, with Syrian files currently identified as a priority,” according to a statement from a CIC spokesperson. That concerns people like Showler, though, who wonder about other non-Syrian refugees currently in the cue. “That means someone who was supposed to come from Thailand, Burma, Africa …that means they’re being delayed even further,” he said. Showler said in the past, Canada has acted much faster to help refugees escape to safety. “We did it for Yugoslavia. We brought in 5,000 and we did it within one year … we know how to do this. This is an issue of political will,” he added.